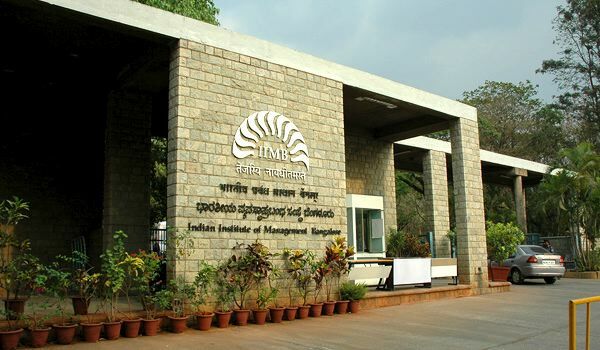 A small confession: I am one of those poor souls bitten by the startup bug, hoping to cure it at IIMB. So far, a remedy seems far out of sight. When you think of the entrepreneurship scene in India, you think of the IITs, BITS Pilani (alma mater shoutout :)), the NITs – basically the engineering colleges which form the better half of career options in India. Startups and management colleges rarely feature together in the minds of people in the country. Being someone who joined with the perspective of being better prepared when I *eventually* start out, this a short write-up on how it has really panned out. In the first year, you have courses covering all the basics – economics, finance, strategy, operations, marketing – whatever you expect from a conventional MBA course. However, what is new is the emphasis on entrepreneurship that was evident from our first day on campus, with a talk about the local incubator on campus, NSRCEL. This change in focus was probably because they wanted to foster a spirit of entrepreneurship on campus amongst the fresh faced students just entering these halls, who could then go on to become job-creators and change makers for society in the future. These were not merely empty words on their part, though, as it was followed up with a core course called “Entrepreneurial Mindset” in our 2nd term. The course hoped to dispel many common misconceptions that people have about entrepreneurship, like “Who can be an entrepreneur”, “How do you start out”, etc. If you are like me, and the proverbial itch needs a bit more of scratching, there is also an elective floated to PGP students in the 3rd term called “Entrepreneurship in Action”. Floated to PGP students for the first time with the 2016 batch, the course takes a very hands-on approach to entrepreneurship – in all its messy and dirty goodness. You work on your idea throughout the week and test different hypotheses by actually going out and talking to customers. This is coupled with a 3-hour class session, where you present the work done during the week and get feedback from the professor as well as your peers working on different ideas. Getting your hands dirty, going out there and actually doing field research, having to deal with your assumptions going wrong – it is a close simulation of how I think starting out really would be like. Despite being limited in terms of bandwidth due to courses as well as other commitments, it was a course where the groups were able to put in considerable good efforts, with many actually earning revenues as well as profits (!) over the course of the 10 weeks. Apart from the curriculum, there is also a club on campus called the “Entrepreneurship & Innovation Cell” or ENI for short, and disclaimer alert: I am a member :). The student-run club was formed to foster a spirit of entrepreneurship on campus, and they organise one of India’s biggest Entrepreneurship fests called Eximius, which usually happens in the month of August. Apart from this, they also get down some of the best speakers to come down to give guest lectures, with personalities like Greg Morgan (CEO, Zoomcar), Piyush Mishra, Kunal Kapoor coming down to the campus. Having an incubator on campus (NSRCEL) also has its own perks, with weekly mentoring sessions which anyone can register for and attend. In addition, with Bangalore being the “Silicon Valley” of India, you have access to a considerable hotbed of entrepreneurial activity – provided you are motivated enough to go out and do so. Speaking of my own experience here (shameless marketing alert! ), my team and I were working on a startup for buying ethically bred healthy dogs. Starting out with the idea of being a one-stop marketplace for everything dog related (how original, eh? ), through our research as well as because of a relatively limited bandwidth, we decided to focus on how people actually get their dogs. Unknown to us prior to starting out, the dog breeding market is highly unorganised and more importantly, dogs are treated as breeding mills, with overbreeding, poor breeding conditions, etc. being rampant. Not only was this wrong from a moral and ethical perspective, this also resulted in health complications for the dogs in the future. We spoke to over 200+ dog owners, vets, groomers, dog boarders, breeders, dog lovers throughout Bangalore; travelled over 500km to visit breeders; spent at least 250+ man-hours overall, and had 2 sales worth over Rs.50k+. And boy, what an experience it has been! To deal with your assumptions going wrong, people telling us that this has been done before, many more saying that it could not be done and even an early Saturday morning call from an irate breeder berating us for what we were doing (Not the best way to start the weekend)! But to see the difference we were creating, especially when we managed to get two little fuzzballs of love for our first customer, it was definitely worth it. Being an entrepreneur is not about being a certain kind of person, it is about having a certain mindset. Anyone can be an entrepreneur, and it’s important not only from the point of view of creating new companies but also for existing companies who have to continue to innovate to stay relevant in this age of disruption. With the kind of support being provided in B-schools nowadays, here’s hoping to see many more people taking the plunge in these exciting times!